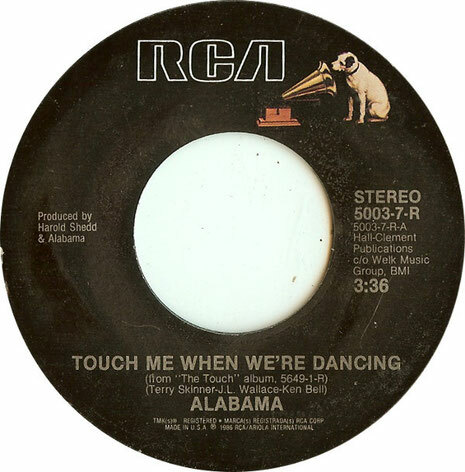 Alabama performs "Touch Me When We're Dancing"
"Touch Me When We're Dancing" is a song written by Terry Skinner, J. L. Wallace and Ken Bell. Skinner and Wallace headed the Muscle Shoals, Alabama session group Bama, who first recorded this song and released it as a single in 1979 reaching number 42 on the Billboard Easy Listening chart and number 86 on the Billboard Hot 100 chart. The song was later recorded by The Carpenters in 1981 for their Made in America album. 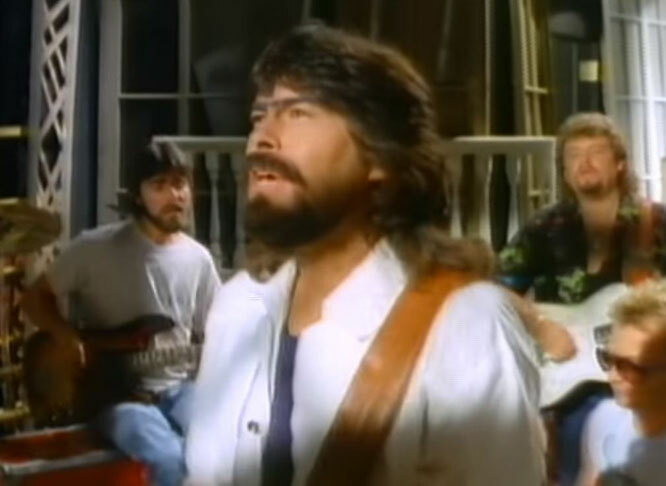 In 1984, it was recorded by country music artists Mickey Gilley and Charly McClain for their 1984 duet album It Takes Believers and in 1986 by the country music group Alabama.